When I was in Chicago a week ago I stumbled upon this gem in the men’s room at the train station. I normally hate using electric hand driers but this is the first one that has actually worked efficiently. First one washes their hands and then places their hands in the slot and slowly extracts them outward. This allows the water to be “pushed” downward, thus leaving the hands dry. Now I realize this is a pretty boring post. I mean come on…. 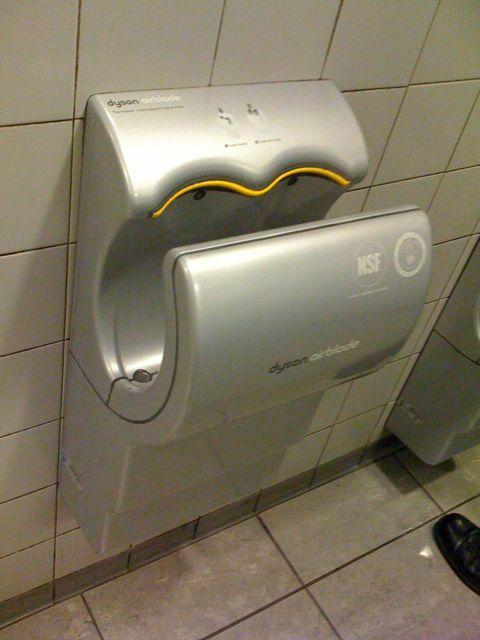 Hand driers? But believe me, once you try one, your life of hand washing will be forever changed. I can only hope that I will encounter more in the future.